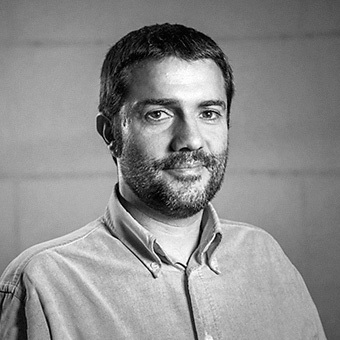 Dr. Oscar García Pañella is Director of the first Videogame Degree in Barcelona at the University of Barcelona’s School of New Interactive Technologies besides partnering as a senior Gamification Consultant in Cookie Box. He also is Academic Director of the online Master in Gamification & Transmedia Storytelling at IEBS Business School. He has worked as a Serious & Applied Games Researcher in EU Projects such as Gamewise, gameBIZ, H2R and JamToday. Oscar has advised the design and creation of serious games and gamification campaigns for companies such as Konic THTR, Coperfield, HP, Digital Legends Entertainment, Roland, Telefonica I+D, Infojobs, The Saint Jude Hospital, KPMG, SEAT, Sanitas, Lander and Accenture. He loves to solve simulator-related challenges and learning opportunities from the ‘experiential multimedia’ and ‘learning-by-doing’ views. Oscar holds a PostDoc in Entertainment Technology by the Carnegie Mellon University and a B.Sc. degree in Telecommunications, besides a M.Sc. and Ph.D degree in Electronic Engineering. We are [still] human beings. And we love to work hard. In fact, we are challenged every day while we work [and play]. We people tend to explore, socialise, communicate, share, help, achieve... and we need to feel engaged while doing so. Services should serve the customer. He or she needs to be at the centre. Is there a science that explains how fun can create valuable experiences in relation to ordinary products and services? Can we design in a way that fun combats the boring effect while being extremely serious? How can we expect to change the design of services paradigms for the better if not designing them from both experiential and memorable views? Welcome to the playing fields of motivational design and gamification! with us. We promise not to spam you! Made with love by Yabber. June 13-15, SDD summit @Barcelona Design Week 2019!